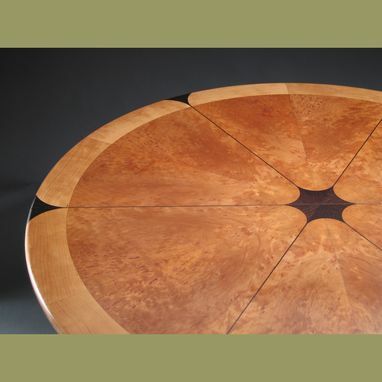 This custom dining table seats six comfortably and a cozy ten with the leaf installed. 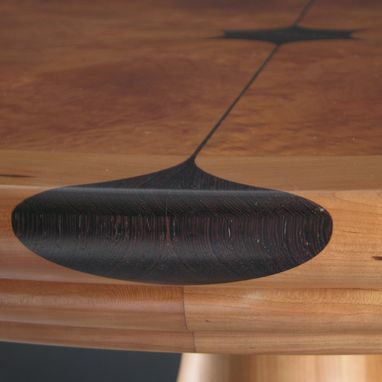 Thin lines extend from the center star and expand into Wenge "ginkgo" leaves on the Cherry edge. 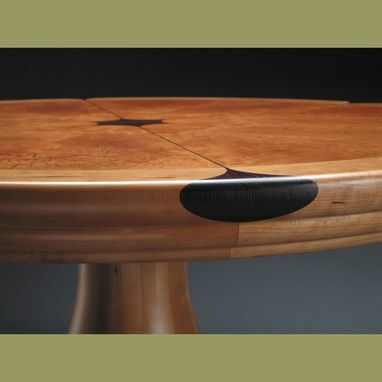 This design element evolved from the inevitable dark line that is the joint on an expandable dining table. 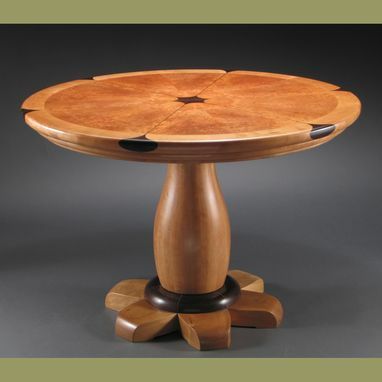 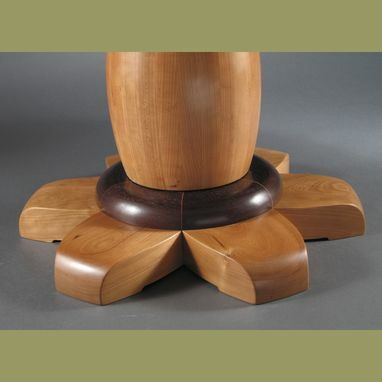 The pedestal is turned from coopered solid Cherry, like a thick-walled wine barrel. 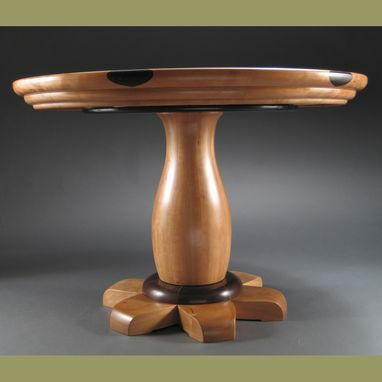 For visual contrast, the foot assembly is a dark Wenge disk on a six-footed that is triple-lapjointed.